The control grid is an interesting thing. A lot of people don’t realize what they’re involved in. Just the simple fact of using credit cards, smartphones, and all the automated systems is the problem. People don’t realize what it is. This system we’re being led into is the New World Order itself. The 5G Smart Grid, the fifth generation of cellular mobile communications, is the New World Order Internet of Things. People really don’t understand how that works, but what it’s about is monitoring every aspect of your life. The smart grid is being presented to people as being this thing that will be highly beneficial to us. But what it will do is put a dollar value on absolutely every aspect of your life. So, every time you turn a water tap, every time you turn on a light, every time you watch TV, anytime you do anything, there’s a dollar value attached to it. An interesting TV show that came out a couple of years ago is called “Black Mirror.” In one episode, the only job everyone had was running on a treadmill, or riding a stationary bike, just to accumulate credits. They had to pay for every single action they performed. And that’s what the smart grid is. That’s what we’re being led into. It’s all about digital currency being in control of everything. And if you’re someone who lives a slightly alternative lifestyle, say you grow a few vegetables and you give some to your neighbors, or you do massages for someone, or something like this, the only way you’ll get paid for that, once the smart grid comes online, is through the transfer of digital credits. That means the government will get a tax that you’ll have to put on your income tax return because everything will be monitored. That’s what it’s about. Complete blanket surveillance of every single action of people. That’s what the smart grid is, and it’s being rolled out underneath everything else, while we’re arguing about all these other issues, and being given all these global conflicts and all this theater of politics to fight and squabble about. Underneath all of that is the smart grid. 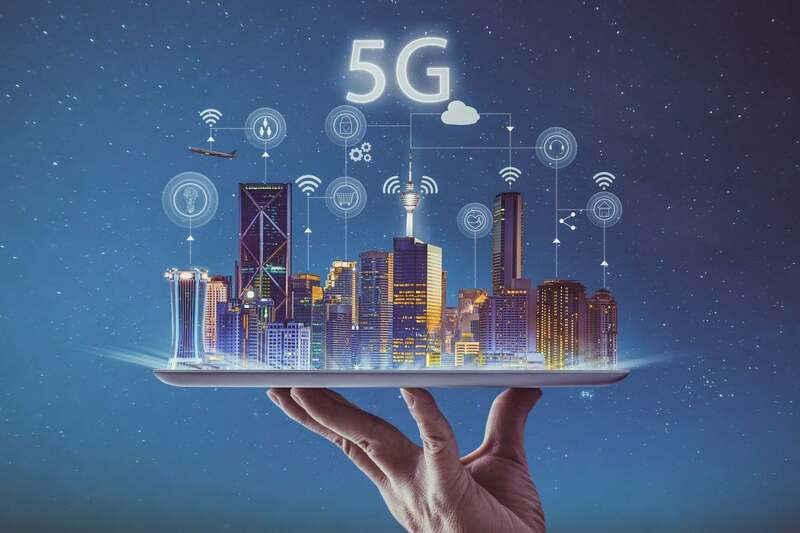 It’s rolling out very quickly, and the smart grid, the 5G Smart Grid, underlying that is the fact that the 5G system that they’re using to run the smart grid Internet of Things is being used by the military. It’s a military-grade technology. So, the 5G Smart Grid will not only track everything you do, it can be used as a weapon. It can be used as a microwave cannon, it can be used to disable people, to track people. It can see through walls, it can see what you’re carrying, if you’re carrying money or carrying a weapon, all that sort of stuff. So, it’s very, very invasive, plus it does all sorts of damage to us biologically, damages our cell structure, damages the cell structure of all food, and changes the cell structure of everything it encounters. And the 5G system will be a blanket system, a blanket wave of communication. We’ve got situations now where you can lose the signal on your mobile phone if you move too far away from a tower. That won’t happen with the 5G system. It will be everywhere, across the country, in rural areas, everywhere you’ll be able to get perfect signals, so everyone is going to kind of welcome this, but I realize what it is, it’s about everything talking to everything else, and everything tracking everything else. Also, with a smart grid, it turns virtually every smart appliance into a surveillance system. A new law was passed in Australia that allows police to tune into smart devices and listen to what’s going on in people’s homes. They can tune into your refrigerator, or if you don’t realize your smart freezer has a microphone, they can tune in and listen to the conversations you’re having in your kitchen. Anybody can be targeted for any reason at all. If they’ve got suspicions about anybody, they can just tune in and listen to their devices, their mobile phones, their refrigerators, their televisions, turn their cameras on, and watch them through the television. All the stuff that they’re doing. This is what the smart grid is. Because that’s what it is, that’s virtually what it is, it’s a digital prison, a digital control grid, and if you want to participate in this society you’re going to have to participate in the smart grid. So, we need to look at what it is and what it’s going to be used for and realize that the technology that thought we could use for our benefit, all this stuff could be used in completely different ways and go in completely different directions. A smart grid could be used to the great benefit of mankind, and it’s being presented in that way, but when you look at the people who are running it, the people who are running the world, well the world’s run by criminals and they’re not going to use this in the right way. They have no intention of it. Now, if you look at some of the white papers they’ve put out themselves, papers put out by the Pentagon recently, they talk about a “Federal Vision for Future Computing in the Nanotechnology Grand Challenge,” and they talk about this fifteen year plan to roll all of this out, and eventually hand it all over to AI logic control, and when we get to that point, then we’ve got the entire human experience being controlled by a machine, which will dictate everything according to an economic value, and dictate everybody’s value according to their economic worth. So, this is a very, very bad situation for mankind to be led into, under the guise of convenience and making our lives easier. It is not going to do that at all. Well, they’re doing it through the Internet of Things; that’s how it’s all been rolled out, and basically, what is essential for the whole thing to happen is digital currency. They’ve got to digitize currency and remove all cash from the system, and you’re getting that here in this country. We were talking and discussing with people recently that in many cities now you can only ride the trains if you pay for it with your mobile phone. What if you don’t have a mobile phone? You’ve got to log on when you board the train, and if you don’t log off when you get off the train it keeps taking your money, and suddenly your account has been depleted because you forgot to log off when you got off the train. They could make all these sorts of things convenient now. You could pay for that up front and gauge your trip. But they’ll keep the current method so that it depletes your account if you don’t log off so that people will want the smart grid. They make all these inconveniences, they put all these systems in place and make it inconvenient for you, you could forget to log off, you could forget to swipe your card when you leave the train, so suddenly all your money’s gone. So, they put these situations in place to make people want this grid to come on line. Recently, when you would come to check into the United States you would go up to the passport counter, six to eight counters there, two of them were opened. Four airplanes arrived, twelve hundred people waiting to get through, two passport counters, it would take you two and a half hours to get your passports stamped. It’s because of this that people will want the retinal scanners, you’ll want the smart grid, it’s much more convenient, so they make it inconvenient for you across the world. And people don’t notice it. They just think it’s hard to do things, they want it, they welcome it. And meanwhile they focus on all these battles and all these theaters of politics and all the stuff they think is the problem. They think they can address it, they think we can vote people in, vote people out and whatever, put a new figurehead up there that will do the right thing for us, but underneath it all is this grid. And that’s how they’re going to do it. They’ll just make it very, very inconvenient for you not to participate in this smart system. And it’s so much easier when you do it, and many people will welcome it. That’s the way it’s going. A lot of people are going to welcome this smart system. A lot of people are going to welcome instant communication. They’re going to believe it could be used to free the world, but it’s not. It’s going to be used to lock down the world because underneath it is this surveillance system that is the smart grid. And underneath that is the weapons system that it can be turned into if you don’t comply with the smart grid. And it gets to the point where if you do decide not to comply you become a dissident, and they can switch you off, switch your chip off. Once it’s all digital, you’ll need that chip to get into your car, your house, and your bank account to buy things. Suddenly, you’re locked out of the system. So, there’s no hope of dissent, no hope of free thought, no hope of questioning any of this. You must simply go with the flow. Because in the smart grid there will only be two types of human beings that they will really be concerned with. The smart grid will be run by AI and so it will determine if people are desirable or undesirable. And that’s it. AI will determine what class you’re in and where you are in the food chain as measured by your economic worth. That’s another important thing people need to look at regarding AI, and what is going to be running the system, is the fact that it is judging everyone according to their economic worth. It’s putting a dollar value on everything. So, when you have a system that’s putting an economic value on every human life and on every human action, they will discard people if they cannot pay for every action they perform. And life was never supposed to be like that. They’ll just do it through convenience and do it through making life so inconvenient for people if they don’t participate.